AMACOM/American Management Association, 9780814474549, 232pp. Delivering top-of-the-line customer service is Job #1 for most companies, an important factor in keeping profits high and customers coming back. Customer service problems can damage not just a company's reputation but its bottom line, so for busy managers -- and business owners with little time to search for solutions -- some fast help is needed. * follow-up and staying on top of the game * and more. 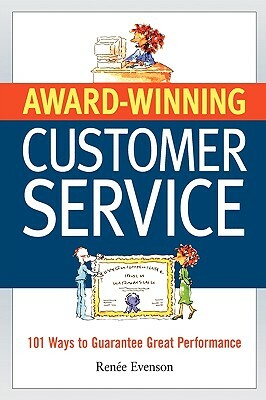 Containing 101 effective tips in all, unique "When this happens, try this" sections, and encouraging quotes, this is an essential reference for anyone who needs guidance or just a refresher on making customers feel truly valued. Renee Evenson (St. Simons Island, GA) has worked in the customer service management field for 25 years, including 15 years as a customer service manager at BellSouth Telecommunications, where her duties included staff training and development. She is the author of "Customer Service Training 101" (0-8144-7290-7).